Corporate group outings are a great way for companies to entertain those who help you do business at a Providence Bruins game - with savings of up to 50% on tickets! 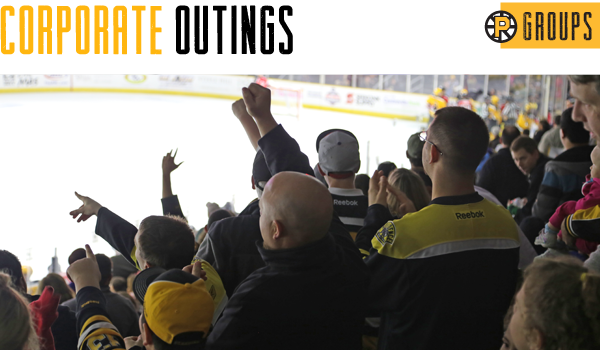 Create a memorable night with co-workers, customers, family and friends with a Providence Bruins corporate outing! Your group will receive great seats together! Your company will be recognized on the center ice scoreboard!